Product prices and availability are accurate as of 2019-04-22 00:43:11 EDT and are subject to change. Any price and availability information displayed on http://www.amazon.com/ at the time of purchase will apply to the purchase of this product. 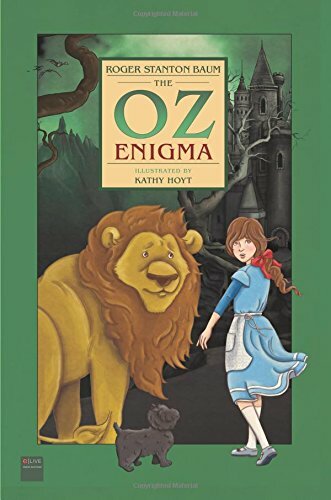 The Oz Enigma is a new and exciting story, which moves Oz into the 22nd Century, without losing the Oz essence of old that we have come to love over the last century. You'll be fascinated, young and old, with this adventure that has some of our old Oz friends flying off into space and visiting the 'Big Dipper,' and so much more. The giant spider, Blackheart, along with the Wicked Witch's cousin Maelstrom and the Nome King cause our friend Dorothy and the people of the Emerald City fear and apprehension as Maelstrom attempts her evil. 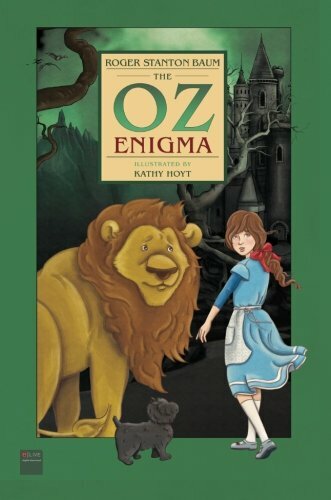 You'll soon find out the surprising secret of the Oz Enigma. 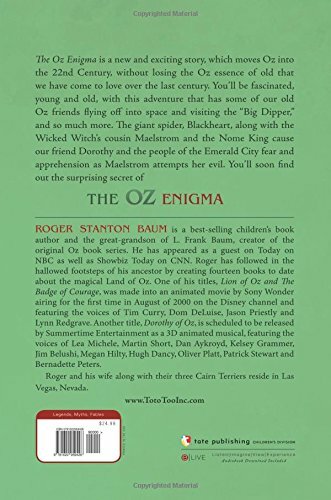 Roger Stanton Baum is a best-selling children's book author and the great-grandson of L. Frank Baum, creator of the original Oz book series. He has appeared as a guest on Today on NBC as well as Showbiz Today on CNN. 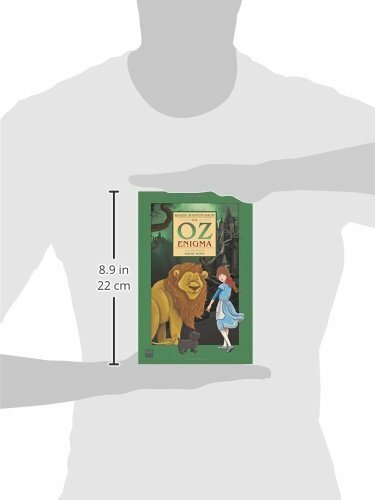 Roger has followed in the hallowed footsteps of his ancestor by creating fourteen books to date about the magical Land of Oz. One of his titles, Lion of Oz and The Badge of Courage, was made into an animated movie by Sony Wonder airing for the first time in August of 2000 on the Disney channel and featuring the voices of Tim Curry, Dom DeLuise, Jason Priestly and Lynn Redgrave. Another title, Dorothy of Oz, is scheduled to be released by Summertime Entertainment as a 3D animated musical, featuring the voices of Lea Michele, Martin Short, Dan Aykroyd, Kelsey Grammer, Jim Belushi, Megan Hilty, Hugh Dancy, Oliver Platt, Patrick Stewart and Bernadette Peters.